The Monster Men are very happy to present an interview with author Keith Rommel. This was one of our favorite episodes we have ever recorded. We are sure you’re going to enjoy it. Keith is the author of THE CURSED MAN, an incredibly original, creepy and entertaining book that is also currently in production as a movie. It’s a great read. This, along with his other books, THE LURKING MAN and the upcoming THE SINFUL MAN, are part of his Thanatology Series. The Encyclopedia Britannica defines Thanatology as “the description or study of death and dying and the psychological mechanisms of dealing with them.” That should set the stage for you. Keith is a fantastic author and a person to keep your eye on. His work is turning a lot of heads and is being described as being in the spirit of Stephen King. High praise indeed. Keith is also great guy and has absolutely cemented his place as a Monster Man. As you watch this interview, you can’t help but like him. He’s friendly, entertaining and quite candid. We learned the stories behind his books as well as what it’s like to have one of your novels made into a film. It is fascinating. We also partake in some great horror movie and TV talk, as is par for the course on the Monster Men video podcast. 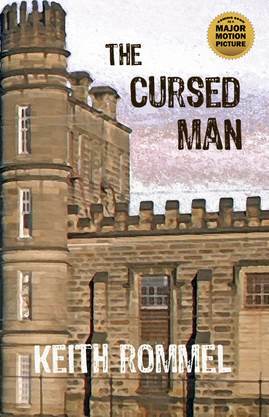 The Cursed Man: A Must Read!